Upgrade the mid range thump and clarity with these direct PnP Upgrade speakers from BAV Sound. Includes 5x100mm Mid Range Drivers (Ctr,2xFr,2xRr) & 5x 25mm Tweeters. Must enter last 7 Digits of VIN number at checkout to guarantee speaker fitment. Have a Harman-Kardon equipped vehicle? Click Here! 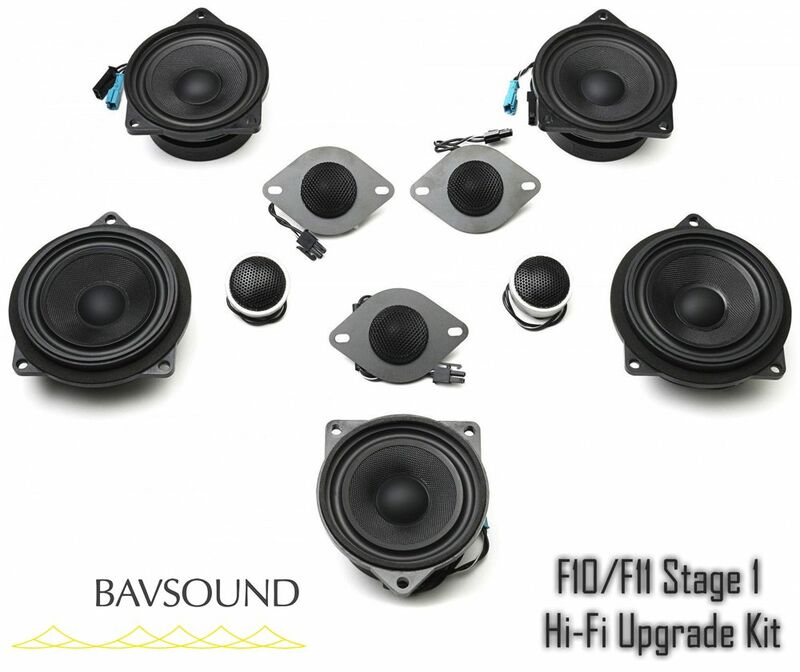 BAV Sound's Stage One is quite simply the easiest way to completely transform for F10 Sedan or F11 Wagon's Standard Hi-Fi audio system. Included in each kit are 5 new speakers For each door, center dashboard & rear deck as well as 5 matching tweeters for each location. 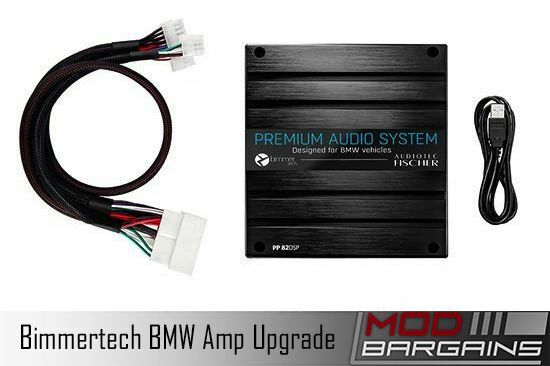 No cutting or splicing is required as these are specifically designed as 'drop-in' replacements to the OEM speaker units. Rediscover your music as if your hearing it for the first time again, and give your OEM speakers a proper burial... in the trash can where they belong. 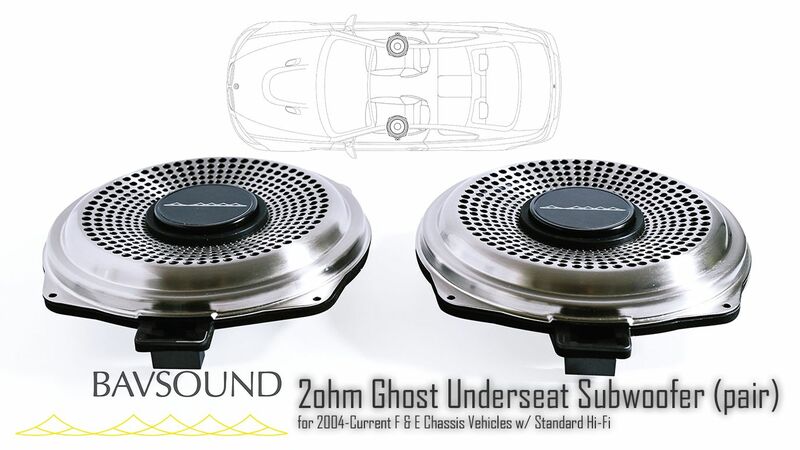 For those looking for that extra thump, don't forget to add BAV Sounds Ghost Underseat Subwoofers.